As a guest on the Max & Murphy show on WBAI, Hochul zeroed in on the section of Cuomo’s agenda, which he outlined during a speech two days prior, concerning the lives of women. She hopes to help see the state codify Roe v. Wade abortion protections in the next session, to make sure contraception care is covered by health insurance, and to pass the equal rights amendment as part of the state constitution. “Something that is embarrassing that we have not done in our state is, actually, pass the Equal Rights Amendment, something we’ve been talking about for over a hundred years in this state,” she said. Hochul also mentioned her work on the state’s plan to protect New York’s healthcare system from federal government efforts to end coverage for those with pre-existing conditions. She affirmed a Cuomo administration commitment to protect the coverage of pre-existing conditions for all and to “get prescription drug costs under control.” When outlining his legislative agenda on December 17, Cuomo included several elements related to health care coverage, such as codifying the state’s health insurance exchange that is part of Affordable Care Act programming. Other elements of the agenda Cuomo outlined include legalizing recreational marijuana, passing congestion pricing program for New York City, crafting a “Green New Deal” for New York, and much more. 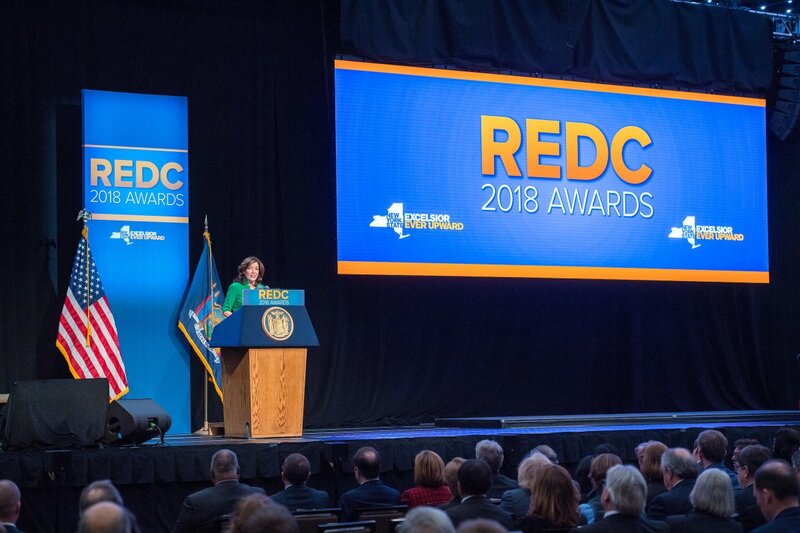 In the interview Hochul also discussed the goals for the $763 million in state funding allocated through the Regional Economic Development Councils, which she chairs, in its 2018 round eight, and addressed criticism alleging a lack of transparency in the allocation process and a lack of clarity around effectiveness of the grant program in terms of the jobs it creates. She said the Cuomo administration’s primary objectives with the REDCs are economic development and job creation. For example, she said the funds would be used for workforce development in underserved areas, job training, and revitalizing main streets in communities throughout the state. This year’s $763 million will be split among 10 different regions of the state, each of which submitted proposals in the annual competition. The amounts allocated to each region range from $66 million to $88.2 million, the most being awarded to Central New York. The initiative will fund 1,055 projects statewide, Hochul said. The program was created by Cuomo in 2011, his first year in office, and has been at the heart of the governor's plan to jump-start the economy, especially in areas of the state that have struggled the most. Overall, the program has allocated $6.1 billion for 7,300 projects, and created 220,000 jobs, according Hochul. The REDC program is not without detractors. Critics, including outside watchdog organizations and elected officials, have cited both a lack of transparency in the process of how taxpayer funds are spent and a lack of specificity in terms of job-creation reporting. Asked about the Childcare Availability Task Force that was recently announced by the Cuomo administration, and which Hochul is co-chairing, the Lieutenant Governor said the task force is intended to develop solutions for the lack of affordable child care across the state. Addressing this need will help allow women to meet their earning potential, Hochul said. She said the task force would conduct research on how best to tackle a deficit in affordable childcare. Hochul stated that the taskforce would advocate for the inclusion of child care resources in the workplace and to reevaluate how much childcare workers are paid. Hochul added that it is nearly impossible for a single mother to raise children while paying for child care on a minimum wage, which, she said, has created a crisis. On the minimum wage, Hochul was asked about the timeline for reaching $15 an hour for all of New York State. The program is being implemented in regional stages, with New York City set to hit $15 at the being of 2019. But the timeline for upstate is less clear, with the original schedule, which was agreed upon in the 2016 state budget that passed the current phase-in, did not include a definitive timetable. 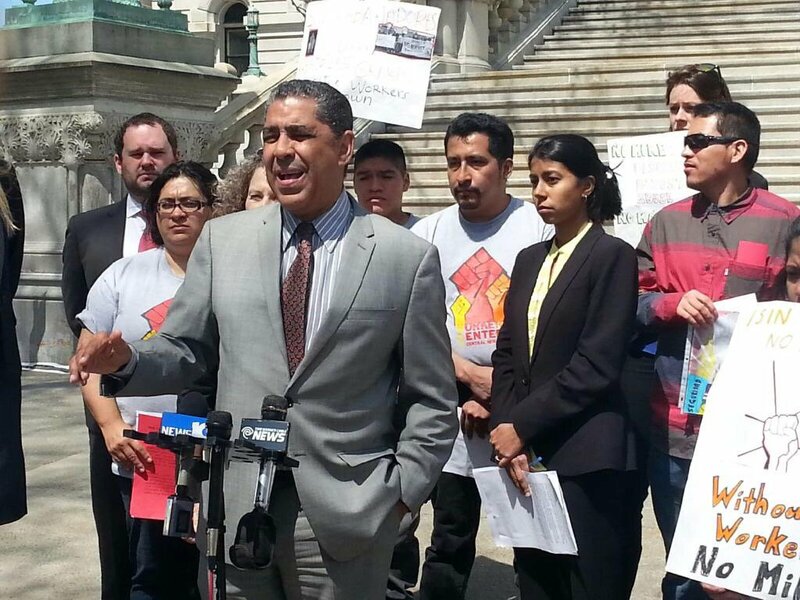 This despite the fact that Cuomo and others regularly say the state has a $15 minimum wage. 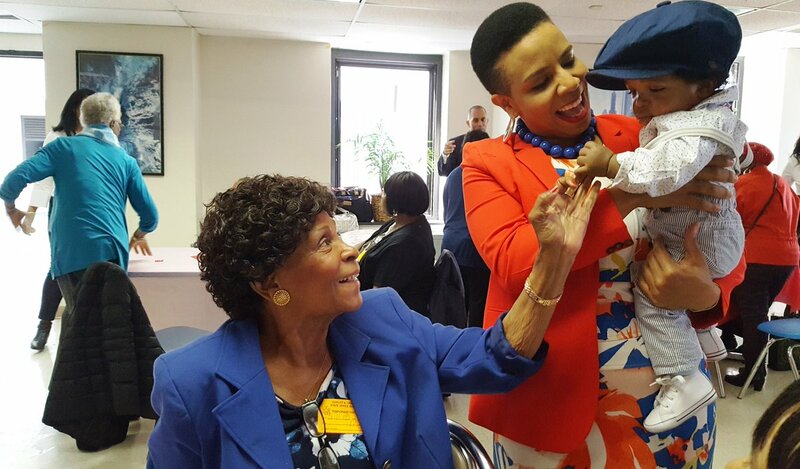 If we are truly committed to the health, well-being, and economic advancement of mothers and babies, we must examine our public spaces, work places, and cultural biases when it comes to supporting and accommodating a mother’s choice to breastfeed. As of only a few weeks ago, mothers can now breastfeed legally in all 50 states without fear of violating laws pertaining to indecent exposure or public obscenity. This is a low bar for celebration, and cause for a critical examination of our own local laws and societal norms. The benefits of breastfeeding are long-known and widely accepted in the medical community – the World Health Organization recommends that babies are breastfed for at least the first six months of their lives. The health benefits for babies include lower rates of obesity, SIDS, asthma, and other conditions, and can even be traced to higher IQs. For mothers, breastfeeding lowers the risk of type 2 diabetes, and certain types of ovarian and breast cancers. It is for these reasons, and for the purpose of defending a mother’s right to choose what they do with their bodies and how they take care of their children, that we must remain diligent in our efforts to identify and break down any barriers for mothers who choose to breastfeed. Those of us holding elected office must all leverage our positions and platforms to advance breastfeeding rights and awareness. We must make sure that mothers know all the facts about breastfeeding, what they are entitled to and what resources are available to them, should they choose to breastfeed. Here, in New York, we have strong laws and we are increasing our investment at the state and local level in support of breastfeeding mothers. I am proud to have made breastfeeding rights a focal point of my time in office, with legislation advancing greater education and access for those who need to breastfeed or express milk in public or in the workplace. Right now, the Mother’s Day Legislative Package, which I was proud to spearhead on my very own first Mother’s Day, has pending legislation that will expand accommodations for breastfeeding mothers in certain city spaces and in workplaces, as well as establish a standard lactation accommodation policy. I thank my colleagues, Council Members Robert Cornegy and Carlina Rivera, for their leadership and partnership on these breastfeeding bills. I am committed to seeing through these efforts and ensuring that our physical structures reflect our values of equity and inclusion. As a mother of a now one-year-old myself, I have a new appreciation for and understanding of the literal and figurative structures that play a role in the lives of New York mothers. From pre-natal care to childbirth and child rearing, there is a culture of expectation that women are just supposed to know how to take care of themselves and their children based on instinct alone. Far too many women are not getting the resources they need. Further, as recent research has shown, health concerns expressed during childbirth are often not taken seriously, resulting in a much higher mortality rates for black and Latina women. The truth is, we all need guidance and support throughout the pregnancy, birthing and nurturing process, which is why we must continue to expand and center the needs of mothers in public and working spaces. Every mother is different, as is every child, and our ultimate goal should be to support and uplift all mothers, regardless of whether they choose to breastfeed. One personal breastfeeding experience of note was when I was able to use one of the Department of Health’s “lactation pods” at Brooklyn Children’s Museum. What struck me about my experience was how welcoming the environment was. Breastfeeding is often framed as an inconvenience, but in this instance, I felt proud and encouraged. The unfortunate reality is that this is an uncommon experience for breastfeeding mothers. More often than not, new mothers in the workplace have to seek out any space they can find — some report even having to pump in a closet. This is inexcusable and detrimental to the dignity and well-being of working mothers everywhere. It is going to take a dedicated, comprehensive approach and a fundamental reimagining of working motherhood, but I know that we can achieve it. Moms continue to show up for each other, time and time again, but it is time we show up for them. We must stand with them and do everything in our power as individuals and as a collective society to better support their needs. Breastfeeding takes a village. It is a mental, physical, emotional, and logistical act. August is National Breastfeeding Awareness month, and so there is no better time than now to commit to a better tomorrow for mothers and children in New York City. Laurie Cumbo is the majority leader of the New York City Council. She represents Brooklyn communities of Fort Greene, Clinton Hill, Prospect Heights and parts of Crown Heights and Bedford-Stuyvesant. On Twitter @cmlauriecumbo.